The GUKPT Reading Main Event starts todat with a £100k guarantee. 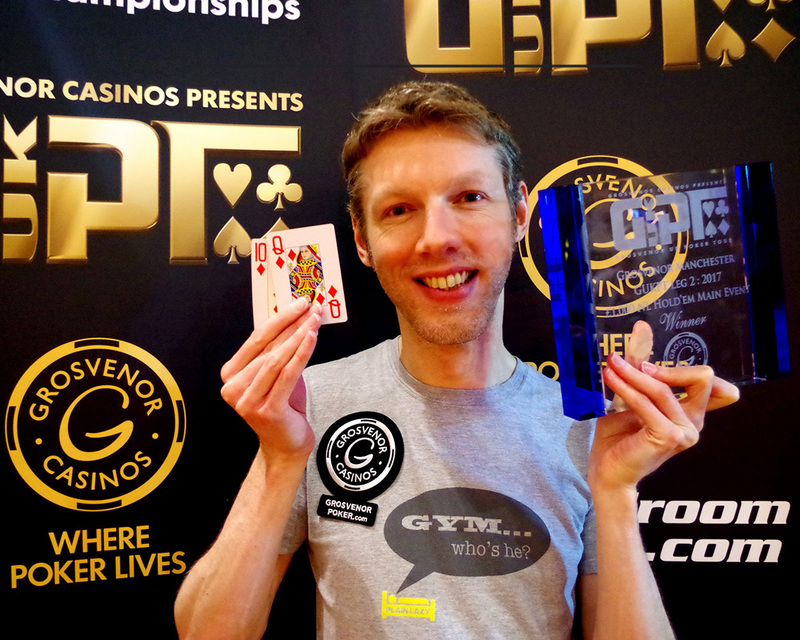 Among those set to compete is Grosvenor-sponsored pro Jeff Kimber and GUKPT Passport winner Andy “LogJam” Hills who won GUKPT Manchester in March. Grosvenor Casino Reading is running a special promotion for all tomorrow’s Day 1a Main Event players. There will be a draw after Level 6 (when registration closes) and one lucky player will win their £500 buy in back for free. MainEventTravel.com now sponsors GUKPT’s all-in triangles so look out for them at GUKPT Reading; the £100,000 Main Event starts tomorrow. We have lots of great hotels near Grosvenor Casino Reading including the Novotel and Crowne Plaza. 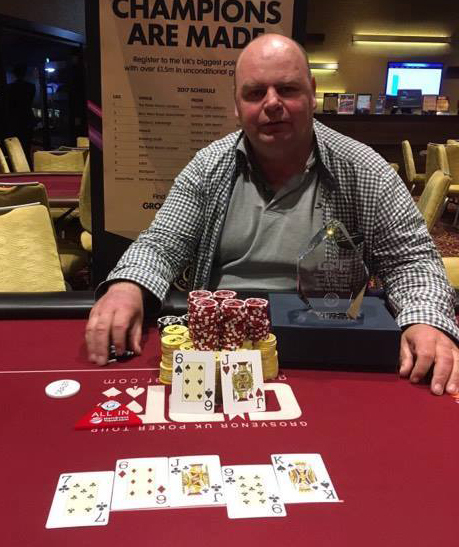 Chris Cooper won the GUKPT Reading Mini Main yesterday for a first prize of £5,010. Cooper, who lives in Reading, has cashes from all over the UK including a £8k runner-up finish in Grosvenor’s 25/25 series in 2014 as well as a 20th place in the GUKPT Reading Main Event in 2015. There were 170 entries bringing the prize pool up to £17,000. The GUKPT Reading stop is Leg 5 of this year’s GUKPT. Thanks to winning the 2016 Passport promotion, Andy Hills is now free rolling every leg of the 2017 GUKPT tour. He took down the second event of this year’s tour in Manchester for £46,987 and finished 20th at the recent GUKPT Walsall event for a further £1,200. His live tournament winnings are now close to $350k. The GUKPT is the longest running poker tour in the UK and now in its 11th season. Last year, Grosvenor Casino Reading welcomed 240 players through the door to take part in the GUKPT Reading Main Event with well-known poker player and TV personality Ryan Spittles taking home the lion’s share of the prize pool. Spittles, who won £31,300, also has UKIPT and WSOP final table appearances on his CV with live tournament winnings amounting to over $400k. Grosvenor Casinos welcomes poker enthusiasts from all across the UK for a week of fun poker action at the GUKPT Reading festival. As well as the packed schedule of satellites and tournaments, there will be plenty of cash games on offer.